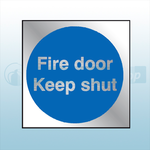 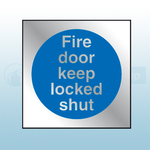 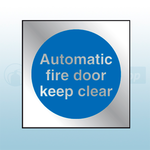 Available from the Fire Protection Shop are a range of prestige fire door signs available in 80mm x 80mm and 90mm x 90mm. 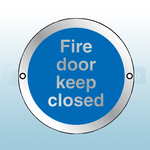 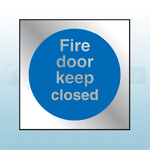 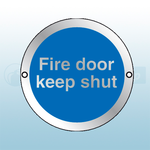 The fire door signs are ideal for showing what to do with the fire door such as keeping the fire doors shut, locked, closed, clear, clear and closed at night. 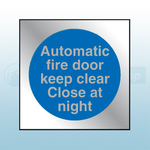 The signs can be bought square or circular with fixing holes.